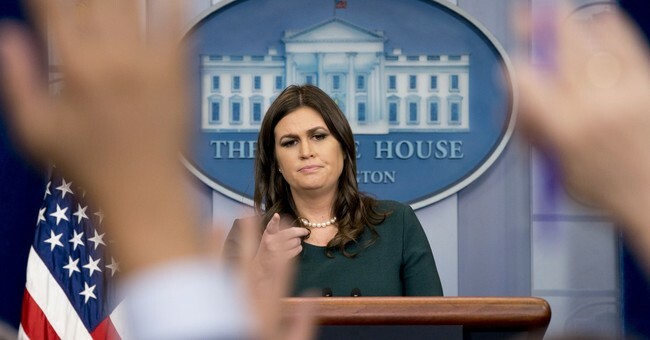 White House Press Secretary Sarah Huckabee Sanders weighed in on last week's report that the Hillary Clinton campaign and the DNC may have funded research for the dossier that tried to link Donald Trump to Russia. Like Trump, Huckabee Sanders tweeted that the report was evidence of "collusion." Rep. Lieu (D-CA) disagreed, and took the debate back to middle school. Facing a slew of mean tweets for his rude comment, Lieu explained he was simply taking a page out of President Trump's playbook. "I lifted the phrase from the President of the United States," Lieu reasoned, adding that he gives the same treatment to men in Trump's White House. Well, at least he's an equal opportunist. Outraged feminists have yet to speak up to defend Huckabee Sanders's honor. She is, after all, the first mother to own the title of White House press secretary. The debate over who colluded with Russia has been a months back and forth battle that has no end in sight.